Henry’s speech about the power of belief and the necessity of magic in the Season Five finale of Once Upon a Time will always be one of my favorite moments in the history of one of my favorite shows. And that is because it touched on something I believe with all my heart: Magic is real. You just have to be open to it in order to experience it. Kids find magic everywhere—the stars in the night sky, the waves in the ocean, the worlds they create in their own imaginations. But as we get older, we tend to stop looking for magic. We get cynical, and then we start looking for reasons to roll our eyes at others who still see magic around them. We learn facts about the world, and we think that means we need to throw away our sense of wonder because we know how things work now. We become busy, and we put our heads down to get where we think we need to be—losing sight of the places where magic lives. But that magic is still there. It’s just waiting for us to find it again. And those places where we find it—where we reconnect with what it means to believe—are special. They are places where we are reminded of one beautiful fact: Sometimes even grownups can still be believers. Belief creates magic. There’s something profoundly magical about a room full of adults who put aside their cynicism and even their logic in order to allow themselves to experience they joy and excitement that can come from the willing suspension of disbelief. I’ve seen it in movie theaters, during plays, and at TV screenings at conventions: the way a group of adults all cheer when something great happens, cry when something emotional happens, or gasp when something surprising happens. Logically, we all know we’re watching actors performing words and actions from a script. But something special happens when you find yourself surrounded by people who let themselves believe the emotional truth of what they’re watching and experiencing: You start to believe, too. And that is the strongest kind of magic there is—the magic that comes from a group of people believing together, even just for a moment. Communal belief. Communal participation in magic. Everyone has their own special place where that sense of communal belief is at its strongest. For some, it’s a darkened theater the night the latest Harry Potter or Star Wars or Marvel movie premieres, where you get to watch and react with other fans who find the same magic on the big screen. For others, it’s a stadium or an arena, where sitting in your seat just the right way or cheering at just the right time or saying a prayer right before overtime actually feels like it might make a difference. For me, it’s Walt Disney World. This is the latest in my series of letters to inspirational female characters that will be compiled in a book alongside letters from my fellow fangirls and fanboys. If you are interested in being part of The Fan Mail Project, I’m still taking submissions on a case-by-case basis, and you can check out all the information here! You weren’t around when I was growing up. Instead, I had a plethora of Disney princess role models who were all strong and kind and incredible in their own ways. I grew up with Belle teaching me to love books, Jasmine teaching me that I wasn’t a prize to be won, Pocahontas teaching me to follow my heart, and Mulan teaching me that I was just as capable and powerful as any man. I will always be thankful for the lessons they taught me, but a part of me will always wish that I could have grown up with you. Those princesses were smart and fierce and courageous and…pretty close to perfect. And while it’s wonderful for little girls to grow up with an ideal image of all they can be, it’s also important for them to see that it’s okay to have moments when they’re not perfect princesses, even moments when they hurt people—not because they mean to, but because they are struggling with things that feel beyond their control. It’s important for them to know that every princess (or queen, in your case) is flawed, and that’s okay. It doesn’t make them unlovable or unforgivable; it makes them human. So thank you for giving a new generation of girls something I didn’t have when I was little—a Disney princess who struggled with something internal rather than external, a Disney princess who lived out the conflict women often struggle with between the perfect image we feel we need to project and the messy reality of who we really are. The biggest fight many of these girls will face in their lives won’t be with some terrible villain; it will be with the darkest parts of themselves. And in you, those girls will see a champion, a symbol of their own ability to accept the parts of themselves they feel they’re supposed to hide and hate—and their ability to turn that acceptance into power. This is the latest addition to my collection of letters to female fictional characters who’ve inspired me throughout my years as a fangirl. 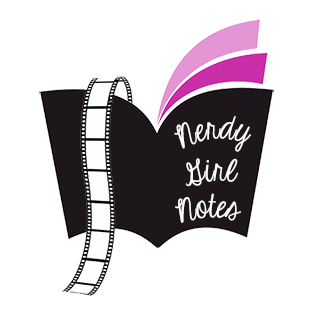 If you have a letter of your own you’d like to share, check out this post to learn more about the book of letters I’m compiling (tentatively titled Fan Mail), and send your letter(s) to nerdygirlnotes@gmail.com! Thank you for showing me I was wrong. Thank you for bringing magic back into my life. 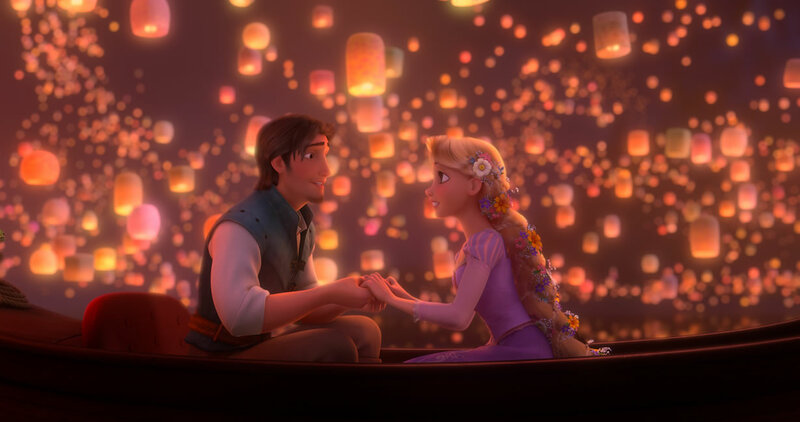 The moment I saw you and Flynn Rider on that boat, surrounded by floating lanterns, something changed in me—or, more accurately, something changed back. I’d spent too long trying to push down the part of me that looked at the world with wonder and wanted to believe in dreams coming true—because I thought that would make me look immature to the rest of the “adult” world. But in that magical cinematic moment, I let myself feel like a little kid again. I felt my heart open up in that moment to the idea that this kind of story might still have the power to change my life for the better—not just by connecting me to my past, but by giving me hope for my future. Fairytales aren’t just for little kids or even little-kids-at-heart. They’re for all of us. They teach all of us, but only if we’re open to it. And with my heart newly opened to the possibility of learning from your journey, I discovered you had so much to teach me. And the things you taught me I could never have understood as a little girl. I might have liked your hair and sang your songs, but I wouldn’t have needed you as a child. I needed you as I became an adult—and I still need you now. We’re all stuck in towers. Sometimes other people put us there, sheltering us from the world and keeping us from experiencing life for any number of reasons. But there are also many times when we keep ourselves locked in our own tower. Sometimes we’re our own Mother Gothel, and we need to find the courage to be you instead. First and foremost, I wanted to once again thank the lovely and talented Heather for steering the good ship NGN while I was away. The posts she wrote while I was gone were fantastic, and if you haven’t read them yet, I suggest you do so ASAP. 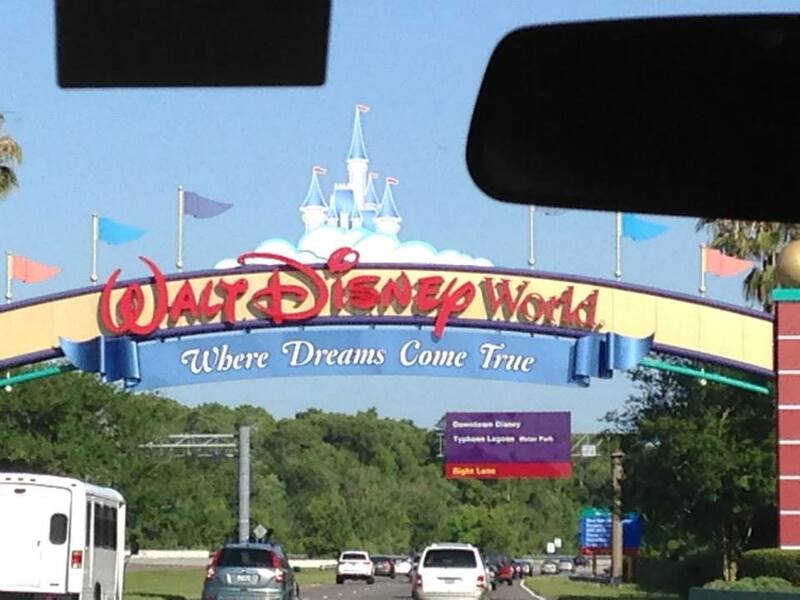 About a week ago, I returned home from another fabulous trip to Walt Disney World. I’ve said many times that I see WDW as my personal “happy place”—the place where I am the best, brightest, and happiest version of myself. Every time I visit WDW, I feel encouraged to be unashamedly enthusiastic about the things I love, and if that’s not balm for a fangirl’s soul, then what is? I’ve written about Star Wars Weekends at WDW before (and I’m sure I’ll do so again at some point this summer), so I’ll try to keep this brief, but I think there’s no better representation of the way WDW fosters a true sense of community and joy among nerds of all kinds than this annual celebration of all things Star Wars. From the impassioned cheers when the movies’ theme begins playing before the park opens to the thunderous applause after the fireworks end at the conclusion of the day’s festivities, my Star Wars Weekends experience this year was once again filled with a sense of shared excitement and fun unlike anything else I’ve ever felt as a fangirl. This year more than any other, though, I was reminded that all of WDW—not just Hollywood Studios during Star Wars Weekends—is a place where people come together to experience what I feel is the very essence of fandom: celebrating what makes you happy and sharing that happiness with those around you. First of all, I just want to take another chance to thank Heather for the brilliant job she did over here while I was enjoying my little hiatus. Everything she wrote was excellent, so if you didn’t check out her posts, stop what you’re doing and do it now! 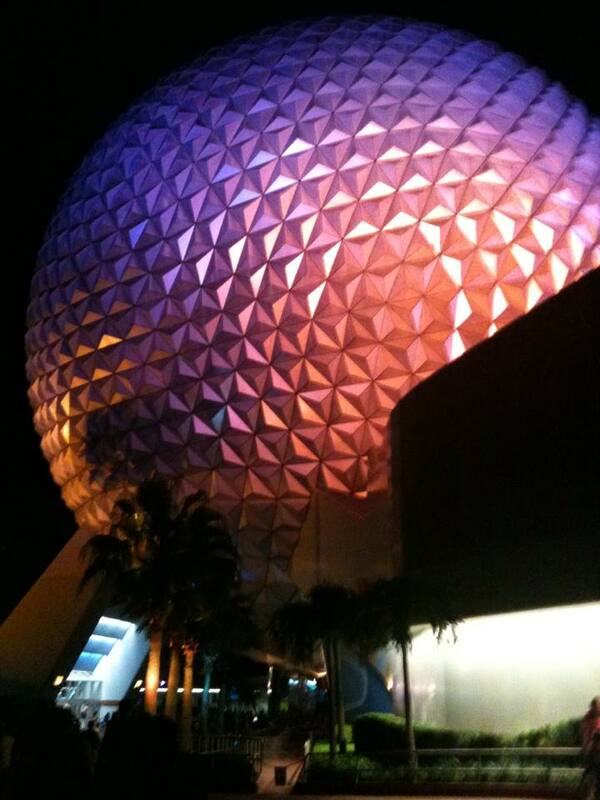 As many of you know, I recently returned from a blissful Walt Disney World vacation. 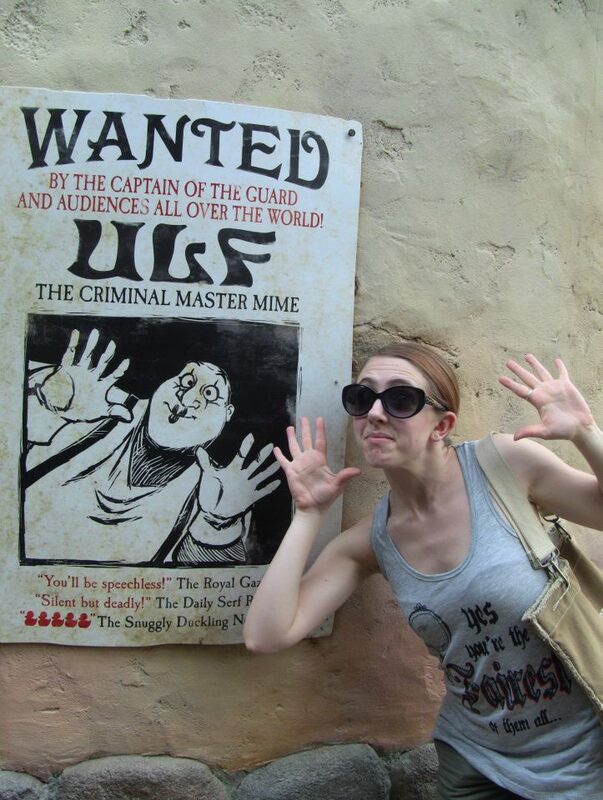 Last year, I wrote about how a trip to WDW always brings out my best self. It’s my “happy place,” the place where I find myself acting closest to the person I always want to be. This years theme around the Disney Parks is “Show Your Disney Side.” For some people (including many who rocked their Disney sides with my sister and I at the 24-Hour Disney Day last Friday), their Disney side is represented by a specific Disney character: Mickey’s joy, the Evil Queen’s poise, Elsa’s strength, Rapunzel’s enthusiasm. What’s my Disney side? That’s a question I’ve been thinking a lot about lately. I think my Disney side is the side of me that is at its strongest when I’m within the confines of Disney World. It’s my happy side, my positive side, and my enthusiastic side. In short, it’s the side that I also try to bring to everything I do here at Nerdy Girl Notes. 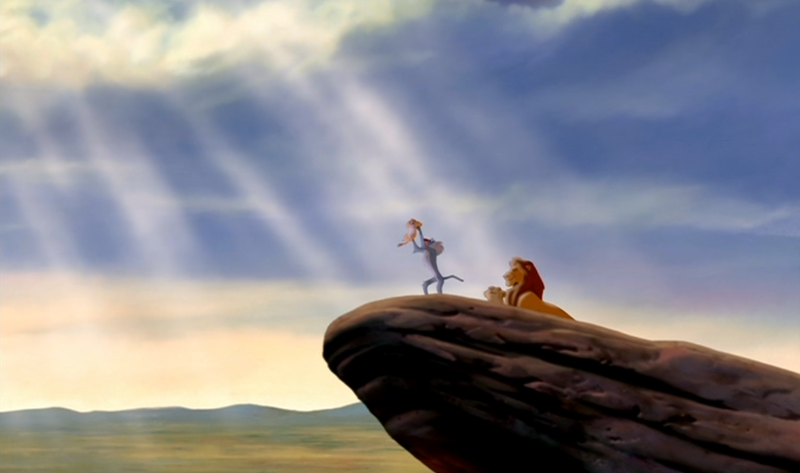 Is “Circle of Life” one of your favorite Disney songs? Music has a way of moving us like little else on Earth. The right song—heck, the right note of the right song—can instantly bring tears to our eyes and goose bumps to our skin. Music has a magic that’s all its own. 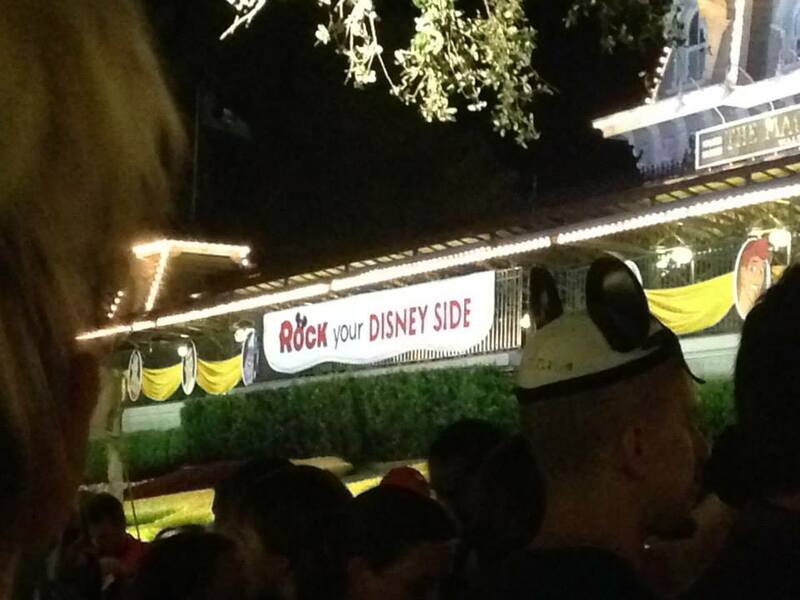 Combining the magic of music with the magic of Disney only seems to amplify that ability to move people. The greatest Disney movies are made great by their soundtracks, and great Disney songs live on in pop culture forever. Hearing a specific song from a Disney film can transport you back to the movie theater where you had your first movie-going experience, or it can remind you of a time when you first watched a child fall in love with the magic of Disney. Disney music calls to mind Disney memories, and those are magical experiences for all of us. While I’m enjoying my own magical experience in Disney World, I wanted to start a conversation here about your favorite classic and contemporary Disney tunes. Here are my 10 favorite songs from Disney films, and I hope you share yours in the comments! The best Disney songs resonate on a level deeper than just their relevance to the film they’re in, and that’s certainly true of this song. Its poignant lyrics are matched by a sweeping score, which builds to a soaring crescendo that is guaranteed to give you the best kind of chills. There has never been a better song for introducing the spirit of a Disney film. The stirringly unique beginning of this song, coupled with the image of that rising red sun, created a truly iconic Disney moment. The Basics: Frozen, Disney’s latest animated feature, is an adaptation of Hans Christian Andersen’s “The Snow Queen.” Sisters Anna and Elsa are separated from a young age after Elsa’s ability to magically create snow and ice put Anna’s safety in jeopardy. While Anna craves companionship and romance, Elsa’s powers and her fear of them being exposed make her crave solitude instead. After a disastrous Coronation Day for Elsa in which her powers are revealed, Anna goes in search of her sister to stop the eternal winter Elsa has wrought upon their kingdom. Along the way, Anna meets Olaf, a snowman who longs for summertime, and Kristoff, a young ice salesman who challenges her naïve beliefs about falling in love. Frozen has all the makings of a classic Disney film: great songs, stunning animation, a surprisingly strong sense of humor, and a heart worn firmly on its sleeve. But what makes this film special is the way it adds something new to the tradition of great Disney princess films. Frozen is a story about true love, but this true love is not the stuff of princes and princesses and love at first sight. Rather, it’s the love between sisters that drives this film. Frozen is an empowering film that celebrates all kinds of love—familial love, romantic love, and love for ourselves. M.V.P. 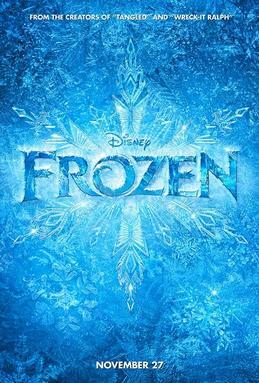 (Most Valuable Performer): Frozen is the first Disney film to focus on two princesses, and both Idina Menzel and Kristen Bell carry this film equally with their unique vocal skills. Menzel’s voice is peerless, and she gives Elsa a power and edge unlike any other Disney princess. Her control over her voice perfectly suits Elsa’s journey through the film—from the quiet tension in her part of “For the First Time in Forever” through her complete unleashing of her power in “Let It Go.” No other actress could have given this character the kind of depth Menzel gives her. Elsa is unlike any other Disney princess who came before her, and it seems fitting that she was given life by a woman whose voice is unlike any other. The same can be said for Anna—she’s certainly not your stereotypical, poised and perfect princess. She’s awkward, naïve, and overly eager for companionship at times, but she’s also fiercely loving, brave, and warm. Bell brings a vivacity to this princess that jumps off the screen, but she’s also able to communicate a very real vulnerability in her voice. Bell’s pure, gorgeous singing voice was a huge surprise to me. Menzel and Bell have very different but equally beautiful voices, and listening to them sing—alone and especially together—was a feast for the ears to rival the best Broadway performances. Scene Stealer: Olaf the snowman is a character who could have gone extremely wrong, but instead turned out to be one of the highlights of the film. A lot of credit for that should go to the fact that he was used just enough to be entertaining and consistently funny but not so much that he became obnoxious. Also, a lot of credit should go to Josh Gad for the way he’s able to make Olaf silly enough for kids to love him and sweet enough to feel important to the story beyond just comedic relief. (“Some people are worth melting for” was one of my favorite lines.) His big music number, “In Summer,” is a highlight of the film and a fantastic moment of musical comedy. Gad makes the silly and the smart facets of the number work perfectly, and I found myself surprisingly charmed by this addition to the list of great Disney sidekicks. Bring the Tissues? Frozen worked my heartstrings with a dexterity usually reserved for Pixar movies. It hits you with a sucker punch of heartbreak at the start (“Do You Want to Build a Snowman?” somehow manages to be both a cute and devastating musical number. ), and the rest of the film has moments of real emotion that sneak up on you with their power. The climax of the film put more than a few tears in my eyes, and I have to imagine I wasn’t the only one moved by the film’s message of love and acceptance. Most Memorable Scene: Every Disney princess movie has a moment where the heroine sings about what she really wants and who she really is, and those are often my favorite moments in the film. “Let It Go” is another one of those moments, where Elsa embraces her power and vows to leave behind a lifetime of repression and fear of letting her true self be seen by the world. Sung with Menzel’s characteristic power, this song is sure to become an instant Disney classic. This is a love song a princess sings about herself, and it’s one of the best songs a Disney movie has featured in a long time. The animation in this scene is just as incredible as the vocal talent on display. As the song builds, so does Elsa’s ice castle, and the combination of stunning visuals and inspiring music combine to make this scene a moment worthy of its place among others that defined their respective Disney films: Ariel singing as the waves crash behind her; Belle and Beast in the ballroom; and Rapunzel and Flynn Rider watching the lanterns. 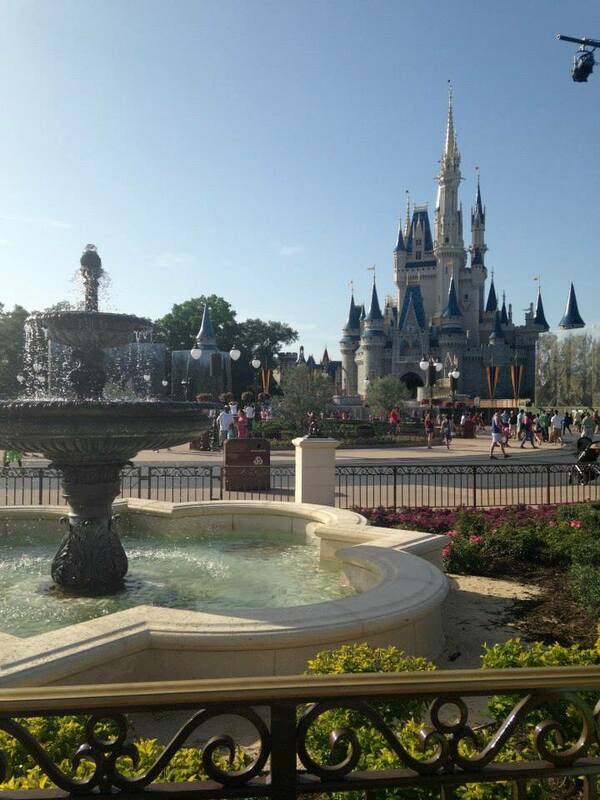 How can you make a Disney World vacation even more wonderful than usual? By adding Star Wars characters, of course! 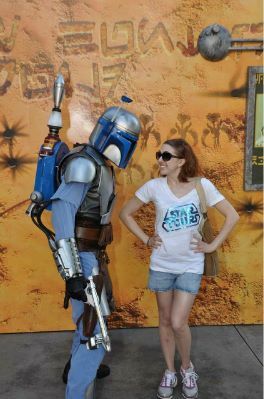 Jango Fett did not seem impressed by my winning smile. If you love Star Wars, you have to get yourself to one of the Star Wars Weekends held at Hollywood Studios every May and June. It was an experience I’ll never forget and probably one of my favorite days spent in a Walt Disney World theme park (and that is high praise coming from me!). Our Star Wars Weekends experience began before the park gates officially opened. A fantastic preshow to the day’s festivities happened along Hollywood Boulevard, with two Stormtroopers standing guard over the guests waiting to be let into the rest of the park. One of the best parts of Star Wars Weekends is the cheeky personality given to each Stormtrooper, and this preshow introduced them in a great way. Before entering the rest of the park, we had to pass by this guy. At the end of Hollywood Boulevard—in front of the iconic Sorcerer Mickey Hat—there was a giant stage that was the center of the action during Star Wars Weekends. 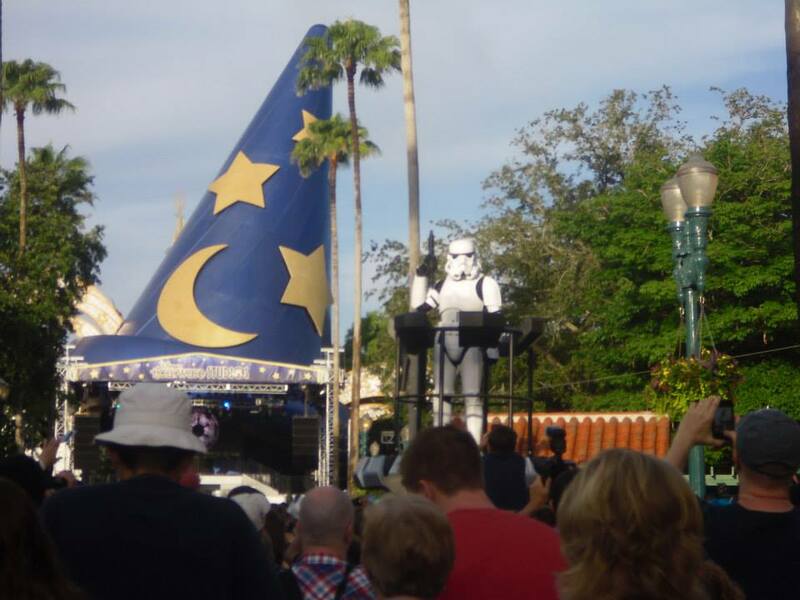 As the day began, the classic Star Wars theme music blared from the park’s speaker system and a narrator gave an overview of the day’s events—from the afternoon parade featuring beloved Star Wars characters to special interview shows with celebrities held throughout the day. My family and I attended one of those interview shows—Stars of the Saga—which featured guest emcee James Arnold Taylor (the voice of Obi-Wan Kenobi on Star Wars: The Clone Wars) interviewing two giants of the original trilogy: Peter Mayhew (Chewbacca) and Billy Dee Williams (Lando Calrissian). Held in a special theater near the Streets of America, this is one Star Wars Weekends event I would recommend to everyone. Even if you only have a passing knowledge of Star Wars, it’s pretty cool to tell people you were in a room with Chewbacca. I have a lot of interests, a lot of passions. Some I’ve only developed recently (I’m looking at you, A Song of Ice and Fire), and some have been with me for most of my life (my devotion to books). But a select few have been a part of my life before my earliest memories; they are such an intrinsic part of the fabric of who I am that I can’t separate my identity from their influence—not that I would ever want to. Walt Disney World is one of those passions. Having some fun in the new Tangled bathroom area of the Magic Kingdom on my latest Disney World trip. If you don’t believe in even the possibility of magic, you’ll never ever find it. I found magic in Disney World when I was a little girl, and the beauty of that place is that I still find it more than two decades later. I find magic in everything from the smiles of kids meeting their favorite characters for the first time to the music they play as you exit the park at night. Magic lives in the lobby of every hotel, in the light from each firework, and in the kindness of each Cast Member. Nerdy Girl Notes was started as a place to celebrate the unironic enthusiasm we all have for the things that mean the most to us. Disney World has always been the best example of something that—no matter how old I get or how cynical the world around me becomes—I will always be unironically enthusiastic about. I don’t remember a time in my life before I knew what it was like to ride on Dumbo, hug Mickey Mouse, and turn the corner on Main Street to see Cinderella’s Castle in all its glory standing before me. My childhood was filled with memories of character meals, learning Spanish on the monorail, and waiting in line for Peter Pan’s Flight. My adolescence was filled with adventures on Star Tours, first times on Space Mountain and Test Track, and trying all kinds of new foods around World Showcase. And now, as an adult, I still find joy in the little moments—from the first bite of a Disney cupcake to the last drop on Splash Mountain. I was a Disney kid, and now I’m a Disney kid-at-heart. I believe in happily ever after, the power of wishes, and that a dream can be a dream come true—with just that spark in me and you. 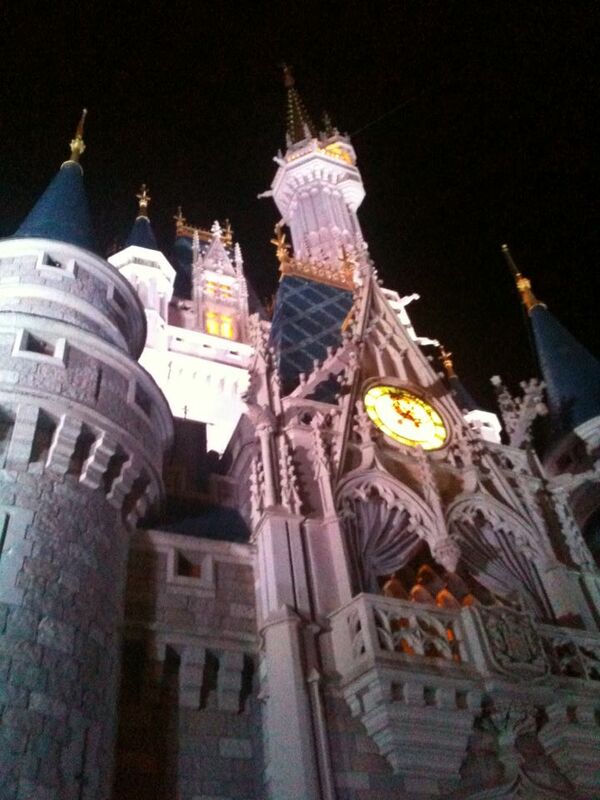 On Saturday night, I returned home from a blissful 10-day vacation in Disney World. I’m hoping to have all of my pictures uploaded tonight so I can write a couple of fun trip recaps for you over the next few days, including one devoted to the perfection that was my Star Wars Weekend experience (Three words: Darth Vader Cupcake). All I’ll say for now is that if you’re a Star Wars fan, you should try to get down to Disney World at least once in your lifetime for one of those weekends. I have to say a special thanks to both Heather and Leah for keeping NGN running smoothly while I was away. And thanks to all of you who read and commented even though I was so distracted by all of the fun (and all of the food) in Disney World that I am criminally behind on replying. Here’s a little taste of the fun I had to tide you over until I have time to write something longer. Disney + Star Wars + dancing = the best party ever. I can’t think of any better way to spend a weekend.